Love this! *POPULAR* Personalized Self Inking Stamps $16.99 (Retail $49.95)! We combine vintage and modern styles to create truly unique designer stamps. 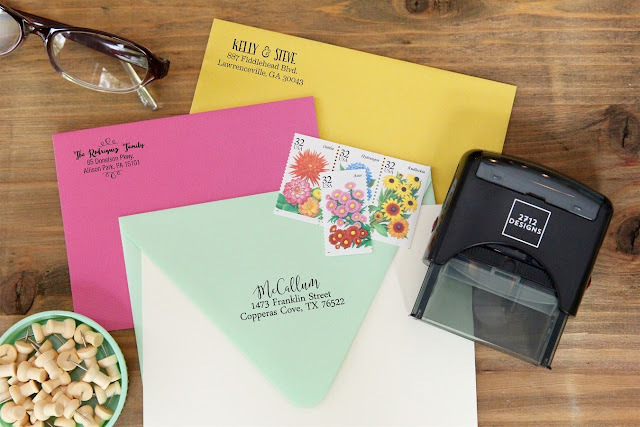 Our self-inking stamps are perfect for adding your own special touch to paper goods for your home, office, gifts and everything in between. $2.99 for the first item and $0.90 for each additional item. US only. Ships no later than Wed, Feb 28.